Congratulations to Mrs. Tighe!! Each month Williasmburg Families and School Crossing partner together with the community to select one very deserving Teacher of the Month. 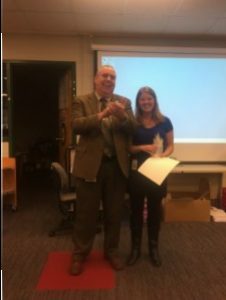 Our very own Mrs. Tighe in 5th grade was selected as February’s Teacher of the Month! We are so proud to call you a MUSTANG! 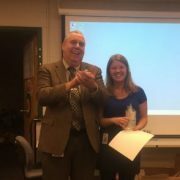 Click here to read more about Mrs. Tighe. 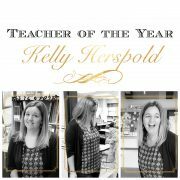 Join us in Congratulating Mrs. Herspold as DJ Montague’s Teacher of the Year! We are so lucky to call you a MUSTANG!!! Yay, Mrs. 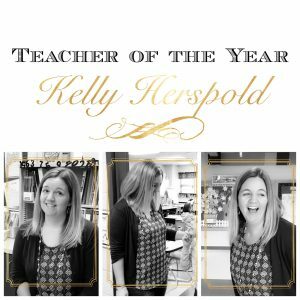 Herspold!! DJ Montague is working to raise money towards blood cancer research. We are having an online fundraiser from Friday, February 17th- March 10th. D.J. Montague has set a personal goal of $3,000! The top 35 fundraisers will receive a pasta party lunch from Olive Garden if a goal of $700 is reached. 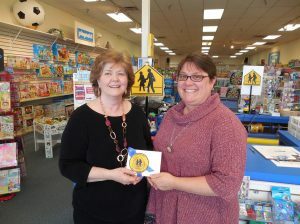 Congratulations to Ms. Hammer who received funding for her third grant through Donorschoose.org last month. Ms. Hammer received headphones to increase their ability to use technology in the classroom. Ms. Hammer’s students will use the headphones with classroom computers for math fluency, projects, and more-the possibilities are endless. 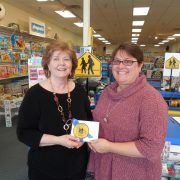 Ms. Hammer received funding through Donorschoose.org and Horace Mann! Click below to find 2 different resources on reading comprehension. We hope that you will take the time each night to read to or with your child. Asking questions about what he or she has read helps the student to make sure they are understanding what the are reading. It also encourages active and engaged reading. Reading to and with your child is a great way to share your love of reading with your child. As I write this letter, I am looking out my window to a winter wonderland of snow flurries that seem to be accumulating on the ground. I am hopeful that Punxsutawney Phil will not see his shadow on Ground Hog Day, and that we will have warm spring weather sooner, rather than later. It is hard to believe that the third marking period will begin on Tuesday, January 31, 2017. Now that most of the midyear assessments are completed and there are no early release days for a while, we are looking forward to getting back into our school routines. I apologize if I sound like a broken record player, but I would like to remind you again that students may not be dropped off before 8:20 AM. Staff members are not available prior to that time to provide supervision due to morning commitments at school. I appreciate the feedback I received regarding the new homework/no worksheet initiative. Thank you for your candid comments and suggestions. I shared the comments and feedback with the Leadership Team and the staff, and we discussed various options for meeting some of your requests. Each month for the remainder of the year, I will provide more specific suggestions for making homework time more productive. Talk to your child and set expectations for bringing home their learning journals, flash cards and any study guides nightly. This will provide you with information about what he/she is learning at school and items that can be used for reviewing content. After students have read, have a conversation with them about the setting and characters in the story. Have your child maintain a reading response journal. After reading, have him/her write down a fact, question, idea or feeling from what has been read. Use this as a springboard for a discussion. Reading aloud to your child is something that can be done regardless of the age of your child. Since you will be reading, you can select a book that is at a higher reading level than your child can read independently. On our school webpage I have attached some handouts of questions that can be used to start these conversations with your child. Many comments revolved around math. Take time to have your child re-work problems missed on worksheets/quizzes and tests that come home in the Thursday folder. Even though new content has been introduced, it is important that learned skills be practiced. Many teachers are sending home an optional practice sheet of the content being studied for the week. If this is something you are interested in, simply contact your child’s teacher. Here is the link to a website called SOL Teacher. This website has games and activities for all content areas in all grade levels that align with the VA SOLs. http://www.solteacher.com/ Please be sure to read the class newsletters that come home. Current content being studied is mentioned in these letters/calendars. I will provide additional suggestions and ideas next month. I hope that you find this information helpful! Planning Ahead . . .
As always, please do not hesitate to contact me at (757) 258 – 3022 or at catherine.vazquez@WJCCschools.org with any questions, concerns or feedback you would like to share. P.S. The snow has stopped and the sun is shining! Happy New Year! I hope your holiday was restful, relaxing and filled with quality time with family and friends. If you are one who makes New Year’s Resolutions (I am very good at making them, but keeping them is a challenge!) please consider resolving to volunteer at school, read with your child for a few minutes every night or review math facts, content vocabulary or journals nightly. We welcome your involvement in your child’s education! Thank you very much for your generous donations during our 12 Days of Giving. I was overwhelmed by the amount of food and other items that were collected. Because of you, the holidays were much brighter for 25 of our D.J. families. During the second semester we will continue to hold our monthly fire drills. Our third lockdown drill will be held this month. Although we anticipated involvement by the James City County Police, they will not be present; the drill will be conducted by school staff. The drills are held to ensure that students and staff know what to do in the event of an emergency. To reduce confusion in the event of a true emergency, we will not call or email families when we hold a drill. We encourage you to talk about emergency preparedness at home. Please note that if you arrive at our school during a drill, you will be asked to remain outside until the drill concludes. We appreciate your cooperation and apologize in advance for any inconvenience. As we are approaching the second semester of the school year, I wanted to take the opportunity to remind you of some of the expectations and guidelines for D.J. Montague and WJCC Schools. SCHOOL HOURS: School begins at 8:30 AM and ends at 3:16 PM. Please do not drop off your children before 8:20 AM. Staff members are not available prior to that time to provide supervision. Instruction continues and important information is shared with students up until 3:13 PM when the afternoon announcements begin. It is important that students remain at school the entire day. Picking your child up just ten minutes early every day amounts to 50 minutes of instructional time missed each week! TARDINESS: A student is considered tardy if he/she arrives to school after 8:35 AM. If your child is tardy, please accompany him/her to the office to sign in and receive a tardy slip. Tardiness is disruptive to the school routine, and may cause your child to start the day off trying to “catch up,” so please make every effort to have your child at school on time. PICK-UP/DROP-OFF LOOP: The pick-up/drop-off loop is a no parking/fire lane. If you are leaving your car for any reason, please park in a designated parking spot. ABSENCES: A “legal” or excused absence is defined by Virginia Compulsory Attendance Law as one “caused by illness, quarantine, and religious holiday, death in one’s family, floods, hurricane or ‘storms.’” In order for an absence to be excused, a note must be received stating the date and the reason for the absence. Without a note, the absence will not be excused. FAMILY TRIPS: Family trips will be considered legal absences for a period not to exceed five days in a year. Please notify me in writing (email is acceptable) one week prior to the planned absence. Any vacation days exceeding five will be considered unexcused absences. DISMISSAL: Unless a note is sent in with your child or the office is notified about changes in dismissal procedures, students will be put on the bus at dismissal. If at all possible, please contact the office by 2:40 PM about any last minute changes. This will allow sufficient time to contact the teacher to ensure a safe and orderly dismissal for all students. I wish you and your family the best in 2017. D.J. Montague students have been taking part in the Great Kindness Challenge. This is a nationwide event that encourages everyone to spread kindness with simple, daily kind acts. As Aesop says, “No act of kindenss, no matter how small, is ever wasted.” Click here to find a list of lots of different ideas on how you can spread kindness! Make a pledge today to find one new way to show kindness and see what a difference it makes. We had some busy Mustangs showing kindness already. 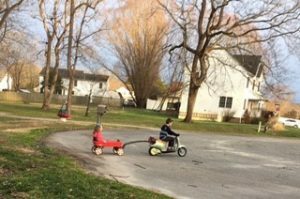 Forest in 1st grade gave his sister a ride on his moped when she was upset that she didn’t have her own moped! 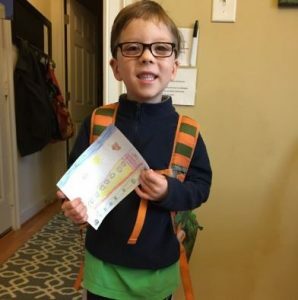 Cole in 2nd grade goes out of his way to say, “Thank You” to his bus driver each day. He is also a big helper with chores at home. 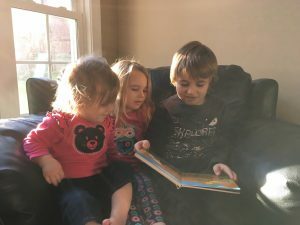 Canton in 2nd grade loves to read to his little sisters. 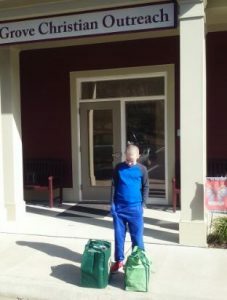 Anthony in 4th grade donates clothing and food to the Grove Christian Outreach Center. Kieran in Kindergarten drew a picture for his bus driver. Keep up those KIND acts, Mustangs! !